Mystery Tales: The Hangman Returns Collector's Edition is rated 3.8 out of 5 by 31. Rated 5 out of 5 by blipi69 from Great game I loved to Play this game! Very nice graphics and good Story and rddlies. Rated 5 out of 5 by lois1231 from This was a fun game I really enjoyed this game. I like it when animals are a part of the game and this does not disappoint. You get to fix up the animals habitats and find the animals themselves which is fun. 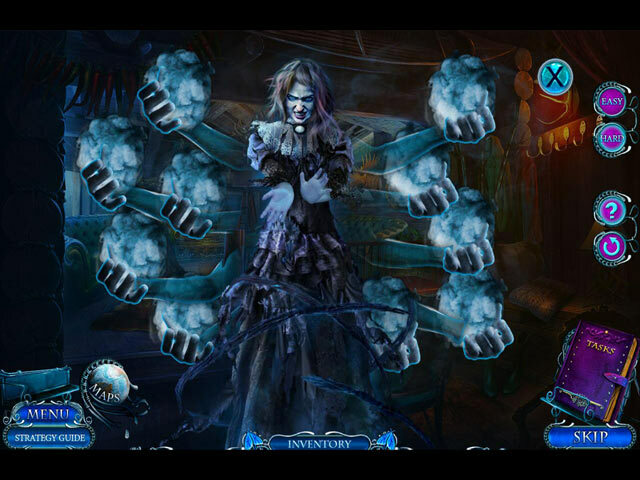 I love hidden object games and the scenes weren't too dark. The items were somewhat difficult to find but that is okay. I don't mind that. I don't like it when developers make items so dang small you can't see them just to make the game harder. That just makes it frustrating and not fun. This one has a good story line and a lot to do. Buy it. You won't be disappointed. It was a pretty long game too. I bought others in this series and the developers do a great job. Please make more with animals. Rated 5 out of 5 by moxy31 from Enjoyed this game This has to be one of the best games I have ever played on Big Fish. 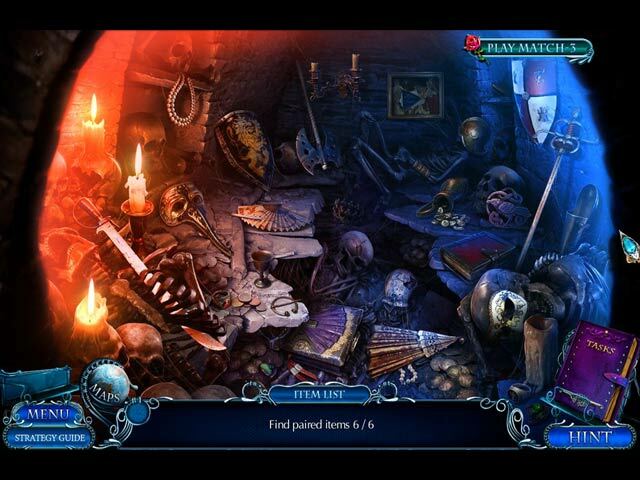 Rated 5 out of 5 by expotanne from Simply put - I loved this collector's edition I have not played many in the Mystery Tales series but I can tell you this, having played this game, I want to go back and play others! From the get go - there are things popping out of the screen at you, there are bright colours, an interesting storyline (well, I found it interesting in any event), lots to do, pets to collect - puzzle squares to find, etc. The game play got a little pixelated during the cut scenes, but that might be my pc and not their fault, having said that - it almost instantly cleared up. I didn't see any morphing things but that is not always a bad thing. There is so much to do in this game that I really didn't miss them. Give it a go - it took me quite a while to play as well and the bonus chapter is also fairly long too. 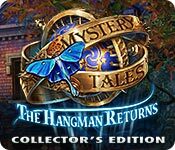 Rated 5 out of 5 by oversixty from Mystery Tales: The Hangman Returns Collectors Edition Fantastic mystery game. Keeps you guessing through the entire game. Rated 5 out of 5 by bjdjtjbjd from Do NOT pass this one up!!! I found this game to keep my attention. It even has a custom level that I use all the time to skip the puzzles...I'm NOT into puzzles at all. Very good story line and they stay with the subject to keep your attention. Rated 5 out of 5 by upsysydaisy from Another Great Mystery Tales I beta tested this game and really enjoyed it. I am happy that it is finally available to us. I loved the paranormal involvement and using the special glasses. It made the story very interesting and kept me wanting more. The very reliable reviewers ahead of me pretty much mirror my opinion of the game...and I do agree that there was an over abundance of puzzles and it took too much time away from the story. Hopefully the entire game is not like this. The games/puzzles were excellent, very creative, I had to skip one of them which I hate because it feels like cheating. The HOGs were wonderful, hope there are many more waiting for us. They were multi-layered and very interactive which I totally love. My favorite kind! The graphics and color were perfect...this developer always does a superb job in this area. It adds so much depth to the story. The characters were done extremely well and their facial features and body movements were not stiff and robotic. Everything just had a more realistic look to it and the villain's features were oozing with evil. The extras were good though I did not experience many of them in my beta time. I always look forward to the collectibles, morphs, achievements, etc. Love challenging myself. The bonus chapter is another goodie that I enjoy. I love the Mystery Tales and own them all. I will add this one to my collection when there is a good sale. I wish the CEs were not so expensive, I buy them mostly for the strategy guide many times. It would be nice if they were included in the SEs as well. Alas, such is life! Overall, this was very entertaining and the CE offers lots of goodies. I think 5 stars is a worthy rating. God Bless.... . Rated 5 out of 5 by momeese from TOTALLY GR8 I'm not much of a reviewer...certainly not an expert...I don't have many games by this developer but I will now...I found this game lots of fun..graphics are good as well as story line...even the puzzles are easy to understand.. I hardly skipped on any!!! well maybe one....LOL I will be buying this one and a few more!!! Rated 5 out of 5 by boatgirl4347 from doing my happy dance!!!!! I just finished stonehendge and I am kicking myself ALWAYS ALWAYS buy ce from domini you are tied with 4friends for my award for the mostAWESOME BEAUTIFUL VIBRANT COLORS !!!! I have every game of both devs 4friends wins for portals my fave but you win for the reality of MY hand taking a key or anote or whatever from another person another fave ismy talking and answering people thru the game I love every thing you do!!! I just did demo of this one and its an instant buy CE OF COURSE!!!!! keep exciting us NO REST FOR THE BEST!! !